The online course ‘Acumen Presents: Chris Anderson on Public Speaking’ on Udemy will improve your public speaking from small scale interactions such as meetings or classrooms through to larger events such as stage presentations. Chris Anderson gives you behind the scenes insights into how some of the world’s most inspirational speakers operate. Chris has been the editor and curator of TED, the stage of some of the world’s most inspirational talks, for several years. Chris provides examples of exceptionally successful TED talks and his analysis of why they worked so well. He also draws your attention to potential pitfall and ways to avoid them, also with practical examples. This is an engaging and thoughtful course for anyone interested in improving their public speaking. 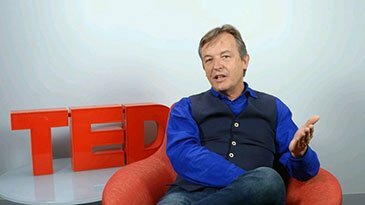 Whilst sharing video examples of great moments at TED, Chris Anderson shares his insights and tips for first class public speaking. He covers the various stages through gaining the confidence necessary, planning to sharing your ideas and delivery. You’ll learn that public speaking is not reserved just for the intellectual elite and extroverts: Many people have great ideas that they could contribute. This course gives you the tools and confidence to share yours. Tip: See the Udemy Coupon Deal on this page to get the best price for ‘Acumen Presents: Chris Anderson on Public Speaking’. Good Luck! Learning is more fun with friends! Share with your friends and you'll stay motivated to learn 'Acumen Presents: Chris Anderson on Public Speaking'!